Vallabhbhai Patel (1875-1950) left his mark not only on the map of India but also on the minds of her people. He is said to have bequeathed the idea of an integrated India to the nation, and is often called the ‘Iron Man’, with an uncanny foresight and a clear vision of where independent India’s future lay. He was no superman, he was a statesman gifted with the rare quality of astuteness and pertinacity in his approach to problems. He was more than Bismarck in many ways. His decisive approach to the merger of the 565 princely States into the Union of India is a hair-raising story of grit, gumption and guts. It is the story of how a man, believed to be ‘the accurate bowman of Gandhi’s struggle…who knew no retreat’ wooed, cajoled and coerced Princes’ India into becoming a People’s India. Patel was convinced, ‘small States cannot subsist as independent entities without endangering Indian unity’ and this book tells the bold and brazen story of how State by State, from Junagadh to Patna, Travancore to J&K, that is, two-thirds of the land mass was shepherded under Mother India’s wings, by one man’s steadfast commitment to the larger cause, ‘no further division’ of the subcontinent. India is today suffering the consequences of ignoring Patel’s advise on Kashmir and China. 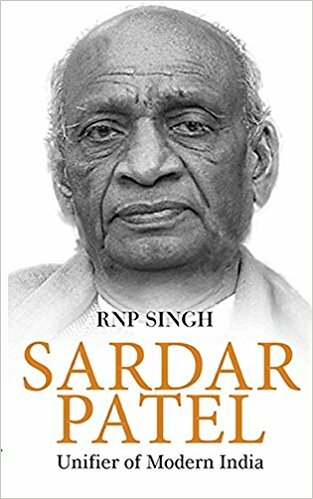 Though it covers just five years of Sardar Patel’s life and times, this is a work of historicity that every Indian must read to understand how India came to be the India that Google today shows us. RNP Singh is a Senior Fellow at the Vivekananda International Foundation, a Delhi-based think-tank. A former officer of the Government of India’s Intelligence Bureau, his distinguished service credentials earned him a coveted President’s Police Medal, Indian Police Medal, the Sukriti and Kautilya awards. A former Trustee and Director of India First Foundation, New Delhi and Managing Editor of two widely acclaimed Journals, Eternal India and Chirantan Bharat (Hindi), RNP Singh has written a number of books including Riots & Wrongs, Bangladesh Decoded, ISI ka Atank, Pakistan ki Haquiqat (both in Hindi) and Nehru: A Troubled Legacy (2015). His works have won wide recognition for their uniform excellence.